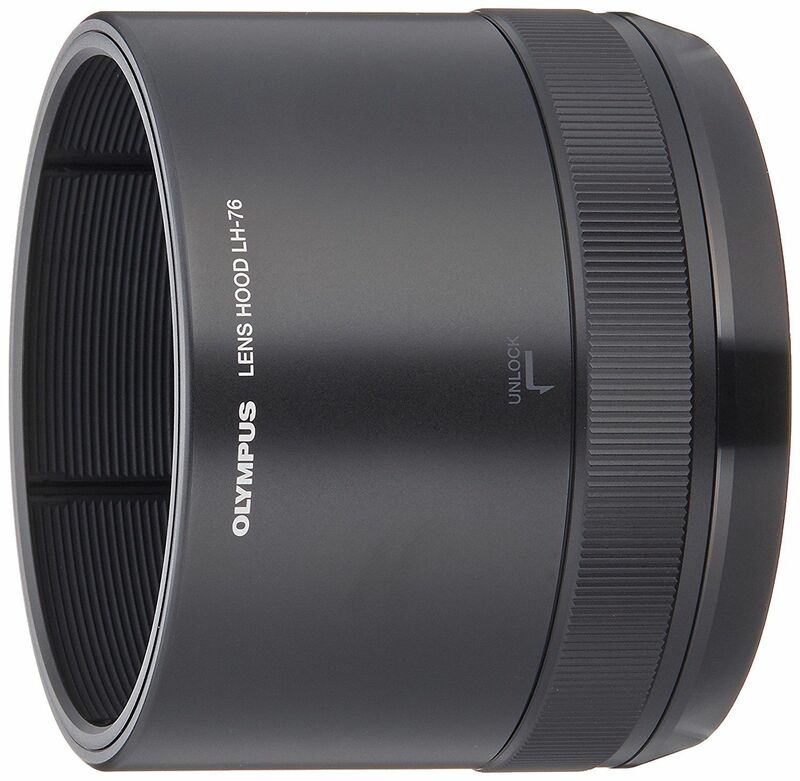 The Olympus M.ZUIKO DIGITAL ED 40-150mm 1:2.8 PRO Telephoto Lens delivers high quality imaging and durable construction to Micro Four Thirds cameras. 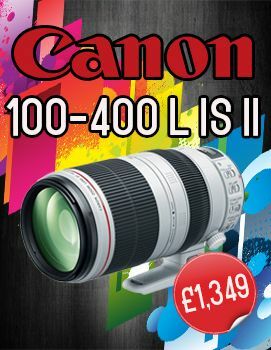 With a 40-150mm focal length and a constant maximum aperture of f/2.8, this versatile lens is perfect for professionals looking for the absolute best performance from a telephoto lens. Offering long reach with an advanced feature-set and optical design, the M.Zuiko Digital ED 40-150mm f/2.8 PRO from Olympus is a versatile 80-300mm equivalent telephoto zoom for Micro Four Thirds mirrorless cameras. As part of the PRO series of advanced lenses, this zoom distinguishes itself with a bright f/2.8 constant maximum aperture for consistent illumination throughout the zoom range to suit working in a variety of lighting conditions. Its optical design makes use of a series of aspherical and low dispersion glass elements to suppress chromatic and spherical aberrations for notable sharpness and clarity, and a ZERO coating is also used to reduce flare and ghosting for high contrast, color-accurate imaging. Complementing the optics, a dual VCM autofocus system offers fast and near-silent focusing performance to suit both stills and movie recording applications. A manual focus clutch permits quick switching between AF and MF, and a programmable L-Fn button avails lens-based control over shooting settings. 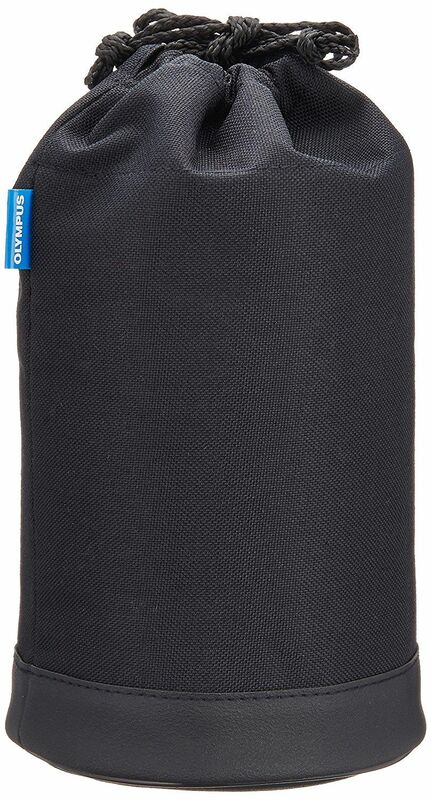 The lens is also weather-sealed for working in trying conditions, and a removable rotating tripod collar is included for improved balance and support when working atop a tripod or monopod. Telephoto zoom is designed for Micro Four Thirds mirrorless cameras and provides an 80-300mm equivalent focal length range. Bright f/2.8 constant maximum aperture suits working in a variety of lighting conditions throughout the zoom range. One aspherical ED (extra-low dispersion) element, two aspherical elements, one Super ED element, three ED elements, and one HD element are featured within the optical design to minimize both spherical and chromatic aberrations, distortion, and color fringing throughout the zoom range while also contributing to overall image sharpness, clarity, and color accuracy. A Dual VCM (voice coil motor) system is used for quick and near-silent autofocus performance. By separating the focusing mechanism into two groups controlled by separate linear AF motors, focus speeds are faster and the friction-free movement is notably quieter to benefit video recording. Manual focus clutch lets you quickly pull the focusing ring into place for direct, intuitive focus control. Programmable L-Fn (lens function) button for easily accessible settings adjustment. Dust-, freeze-, and splash-proof design uses 11 separate seals to ensure the lens's performance in inclement and harsh conditions. Rounded nine-blade diaphragm produces a smooth bokeh quality. Removable rotating tripod collar offers a stable platform for working with this lens atop a tripod or monopod. Included lens hood collapses back onto the lens for a more compact profile when stored. 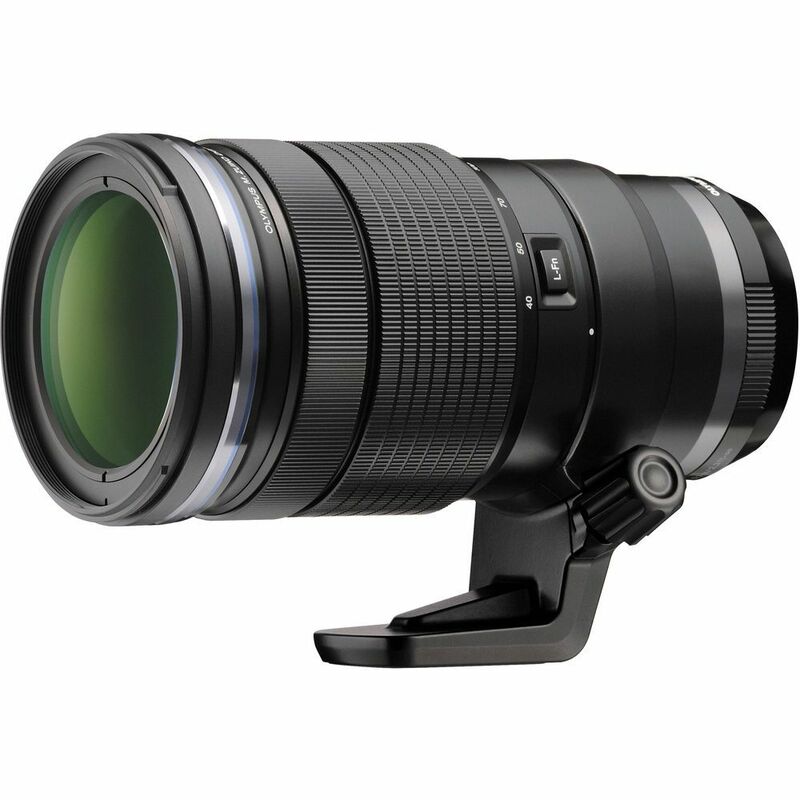 Compatible with the optional M.Zuiko Digital MC-14 1.4x Teleconverter to further extend the reach to a 112-420mm equivalent focal length range. The Hoya Pro1 72mm UV filter greatly reduce the appearance of lens flare and ghosting caused by reflections. The Hoya Pro1 CPL filter greatly reduces the appearance of lens flare and ghosting caused by reflections.